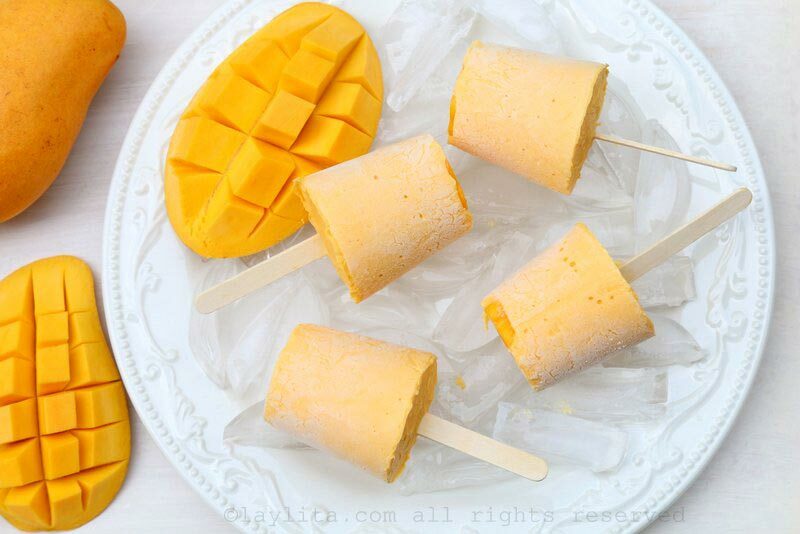 It’s time for a refreshing summer popsicle recipe, these simple mango yogurt popsicles are made with plain yogurt, ripe mangoes, and honey to taste. These creamy fruit popsicles are inspired by the traditional batidos de yogurt that you find in Ecuador, and you can easily make them with any fruit or mix of fruits that you prefer. 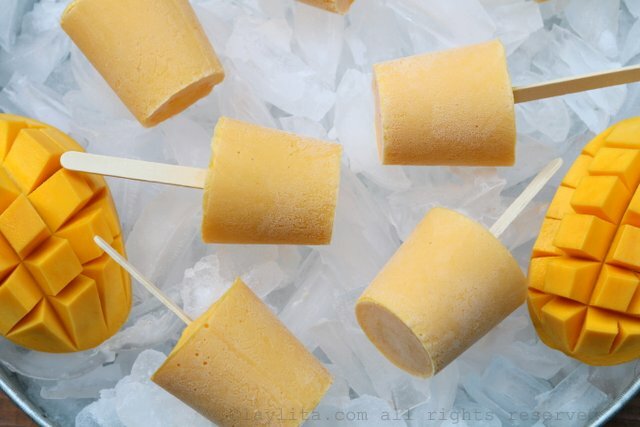 I used plain yogurt and honey to sweeten the popsicles, but you can also use sweet vanilla yogurt instead – no need to add additional sugar or sweetener in that case. For a an option with no added sugar or honey, you could add ripe bananas in place of the honey or sugar. 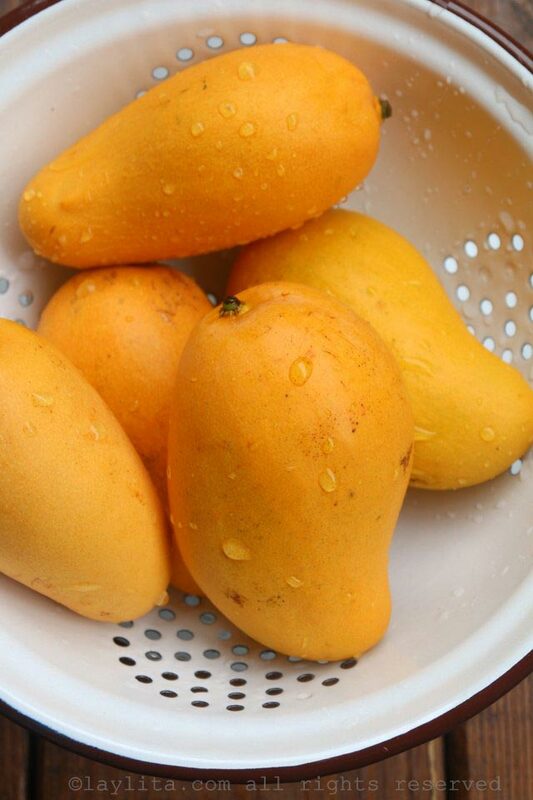 Quick and easy recipe for creamy mango yogurt popsicles made with yogurt, ripe mangoes, and honey. 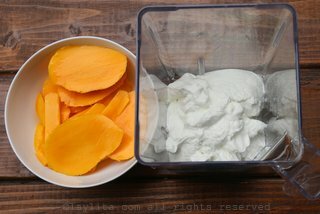 Combine all the ingredients in a blender and mix until you have a smoothie like mix. 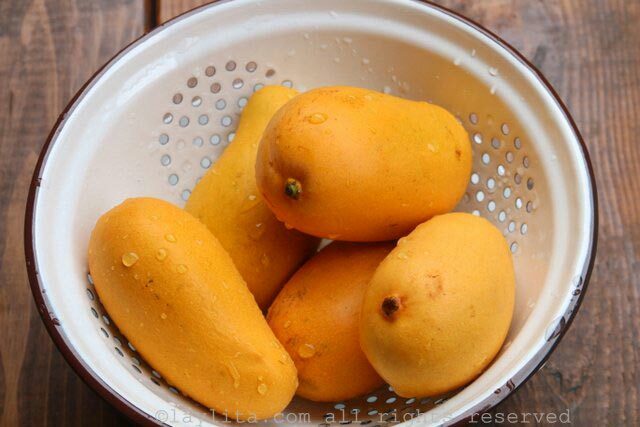 Taste and add additional honey (or sugar) if needed. 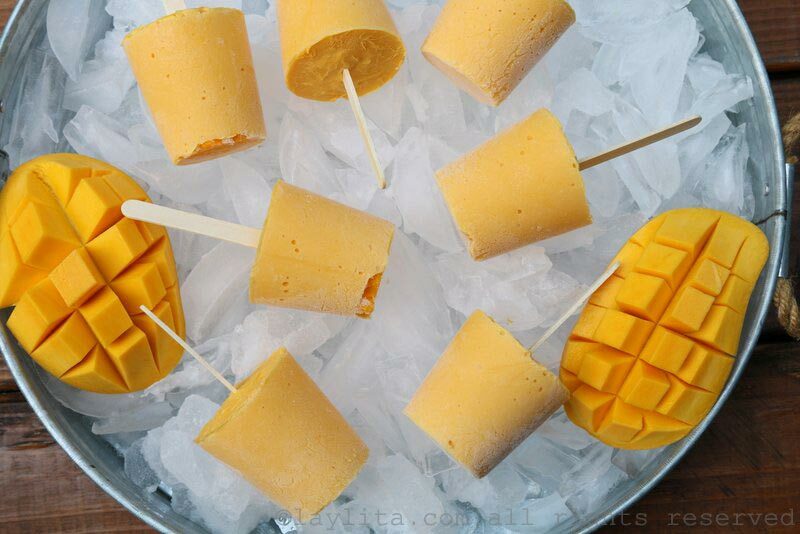 Pour the mango yogurt mix into popsicle molds or small paper/plastic cups. 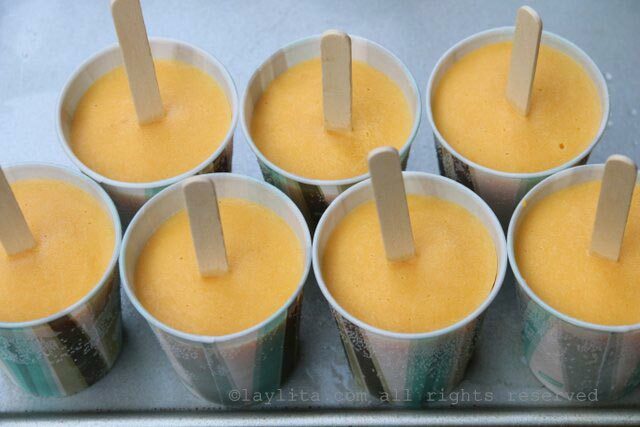 If you using small cups as popsicle molds you can cover them with foil and insert the popsicle stick thru the foil to keep them in place. Or let them freeze for about an hour and then add the sticks. Place the popsicles in the freezer until they are fully frozen, about 4 hours (more or less depending on your freezer’s temperature). 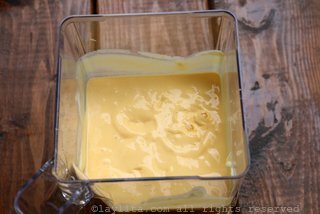 To make it easier to remove them from the molds or cups, you can dip the bottom of the mold in lukewarm water for about 10-20 seconds. 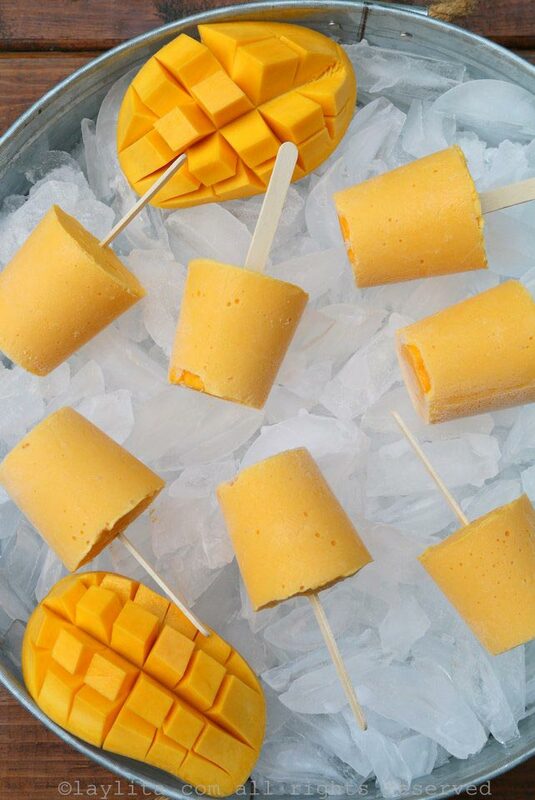 You can also add small pieces of mango to the popsicles for a more rustic and chunky popsicle. 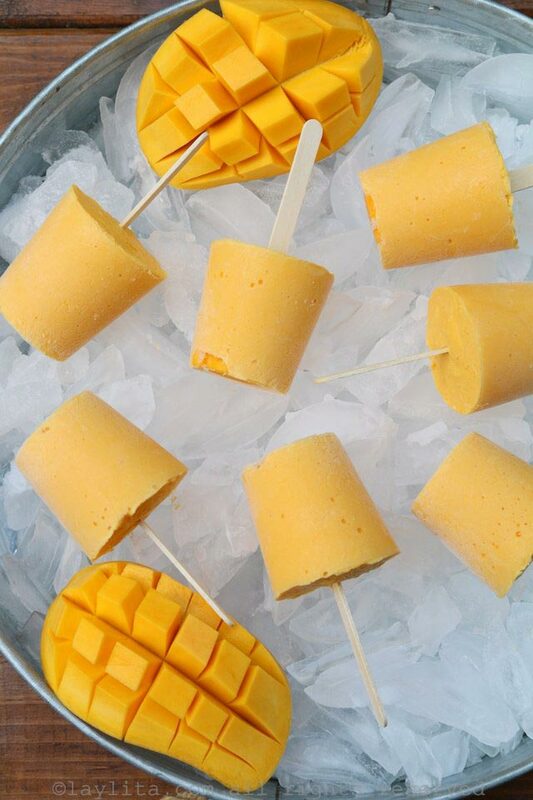 You can make these mango popsicles in a regular popsicle mold or you can also use Dixie cups or small paper/plastic cups as molds. 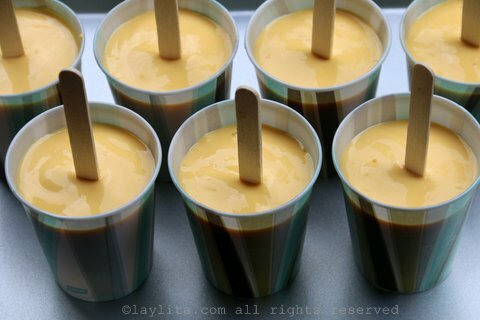 For a more rustic and chunky style popsicle, you can dice some of the mango and then add the small pieces to the mango yogurt mix.